At JYSK we believe that human relations make a difference, which is why we are trained to ensure the best possible service and advice. Thousands of customers visit JYSK every day, and we are only here because so many choose to shop with us. This drives our commitment to always offering quality for a great price - and to being accessible, competent and helpful. 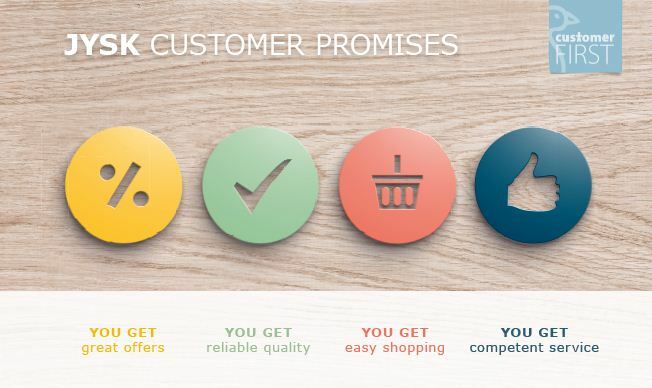 This has given rise to the formulation of four customer promises, which we refer to as the JYSK CUSTOMER PROMISES.